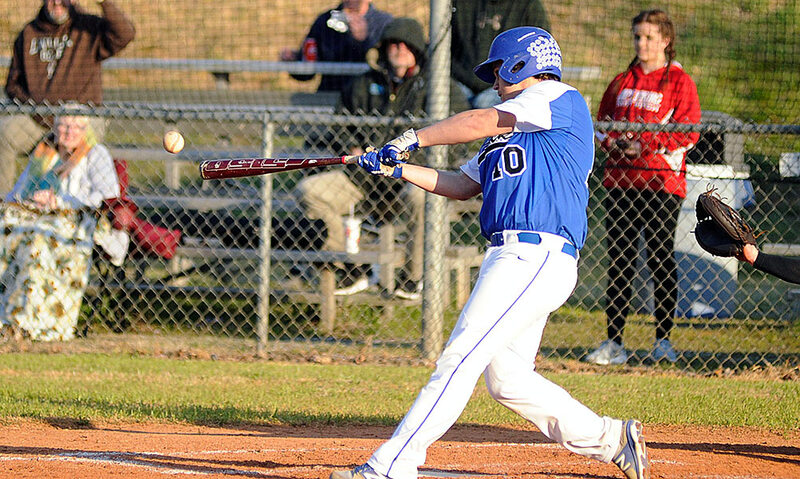 Zeke Herrmann held Avery to two hits and Polk County steadily pulled away Tuesday to take a 12-0 victory over the Vikings at The Bottoms. The Wolverines improved to 9-4 overall, 7-1 in Western Highlands Conference play. Avery dropped to 2-10, 0-8. The two teams meet again Thursday in Newland. Herrmann, an Erskine signee, struck out nine and didn’t walk a batter in pitching a five-inning complete game. The Wolverines scored a run in the first as Evan Rimer singled, stole second, moved to third on a passed ball and scored on Nick Capozzi’s infield grounder. That lead held until the third, when Polk scored two more runs on doubles by Kaleb Kropp, Avery Edwards and Clark Phipps. The Wolverines then tallied six times in the fourth. Grayson Jones walked with one out, moved to second on a passed ball and scored on Jordan Bishop’s sharp single to center. Kropp walked, and Edwards singled to load the bases. A fielder’s choice allowed Bishop to score, and Edwards scored on a passed ball. Capozzi followed with an RBI single, with Sedric Pickett adding a double and Elijah Sutton walking to load the bases. A dropped third strike allowed Capozzi to score to make it 9-0. The Wolverines then loaded the bases in the fifth before Pickett drilled a bases-clearing double to center. Pickett finished 2-for-4 with three RBI and Capozzi was 1-for-4 with three RBI. Kropp was 2-for-2 with two doubles, Edwards was also 2-for-2 with an RBI and Bishop finished 2-for-3 with an RBI.